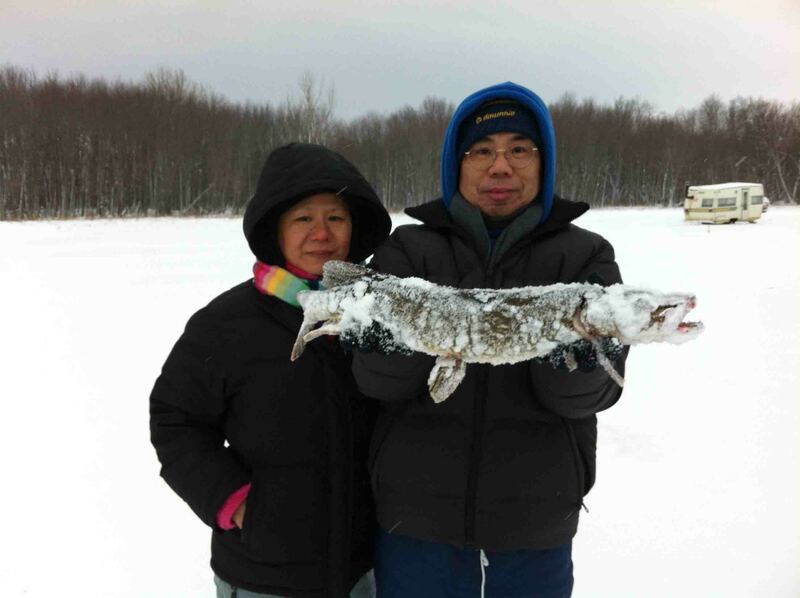 One of my favourite winter activities to do in Montreal is ICE FISHING! 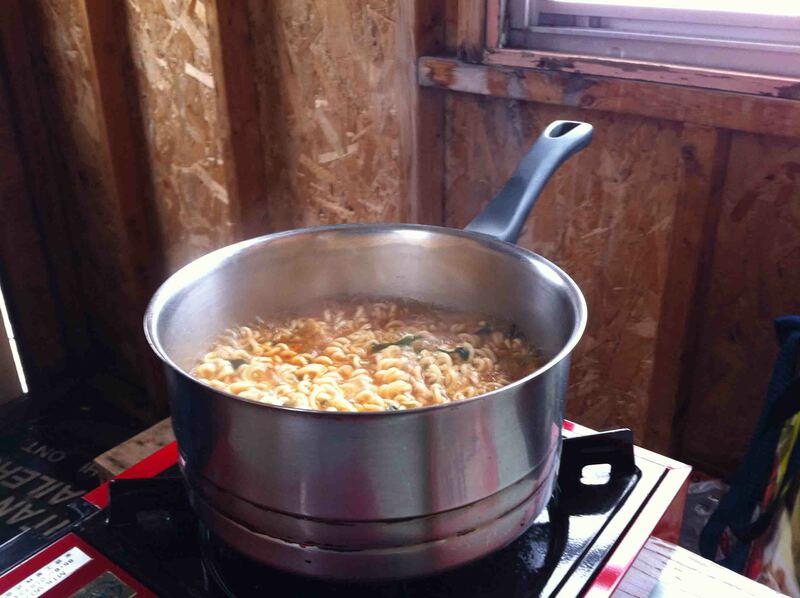 Our family is not a big fan of the cold so unlike other outdoor enthusiasts who do it in the open space all day long, we like to look for places that offer little cabins so we can enjoy the fishing but also keep ourselves warm. One place we like to go to which is just outside of Montreal is Centre de Peche La Madeleine. We like to spend a whole day there so we try to get there early in the morning. 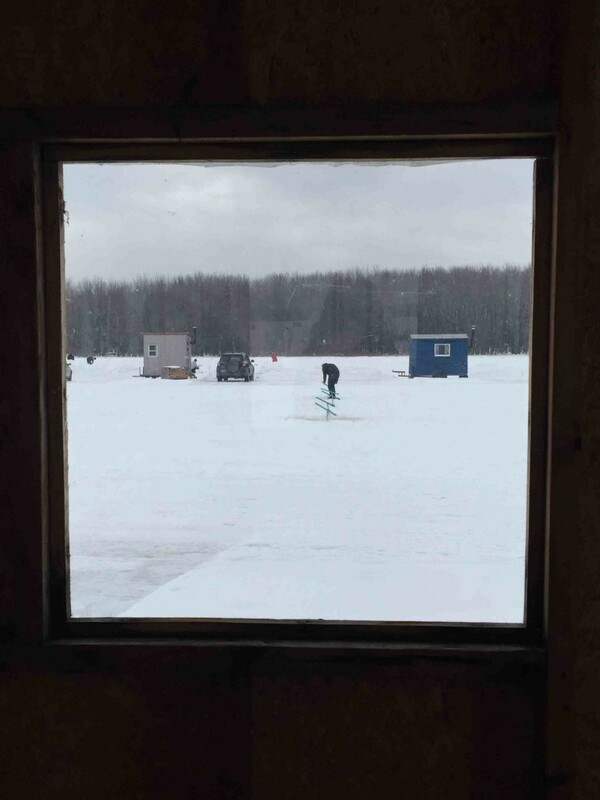 Since the water is frozen, we drive straight on to the river and arrive at the cabin where we pay and get our equipment. You can bring your own but they’re not expensive to rent and since we don’t go very often, we thought it was better to just use theirs. 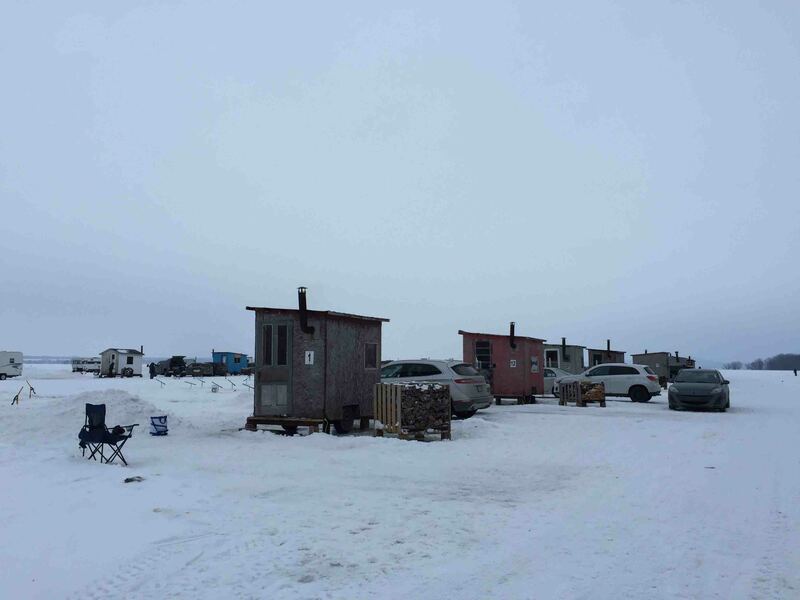 Once we got everything, we drove our car further out from shore and parked right next to our cabin. 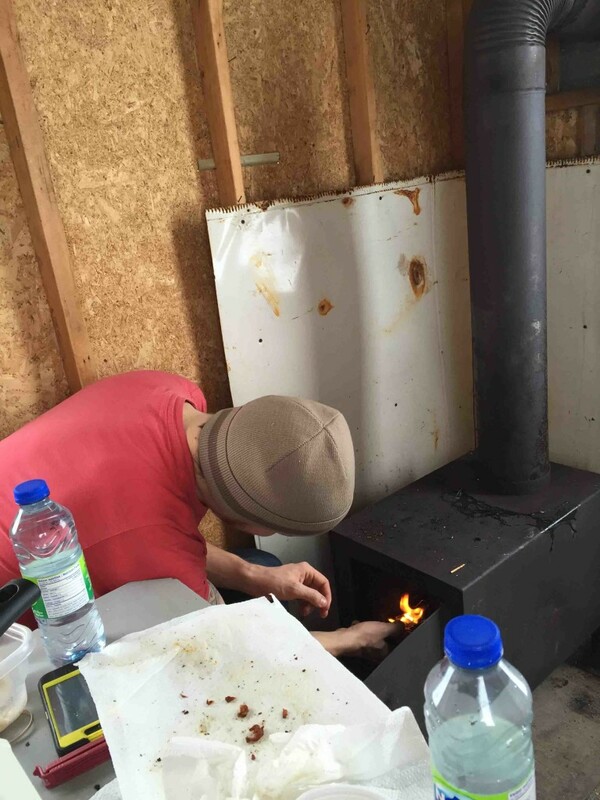 One of the people who worked there came by a bit later to help us drill holes alongside our cabin. 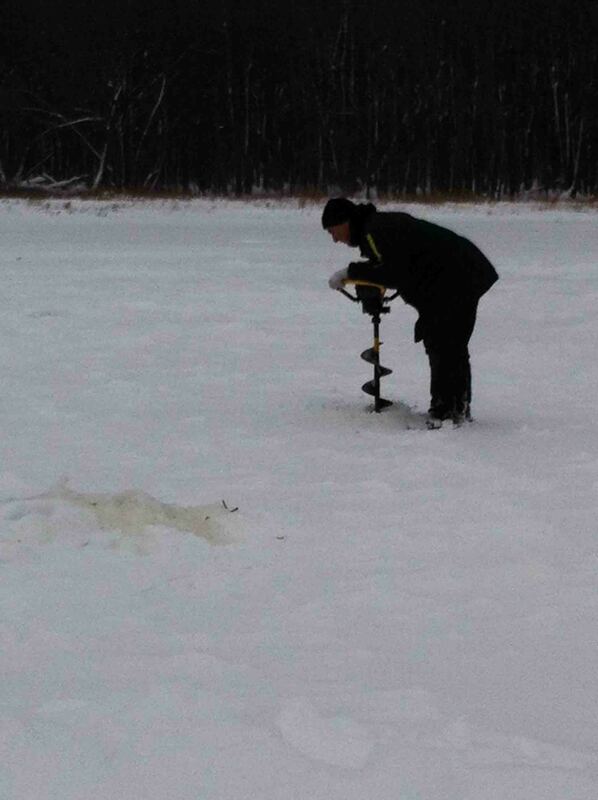 Then it was up to us to set up the equipment and use the minnows we bought at the entrance as bait. The setup itself is pretty easy however, trying to do that with thick winter gloves can be quite challenging. However, when you use your bare hands, they will freeze in a second so it’s a tough call! 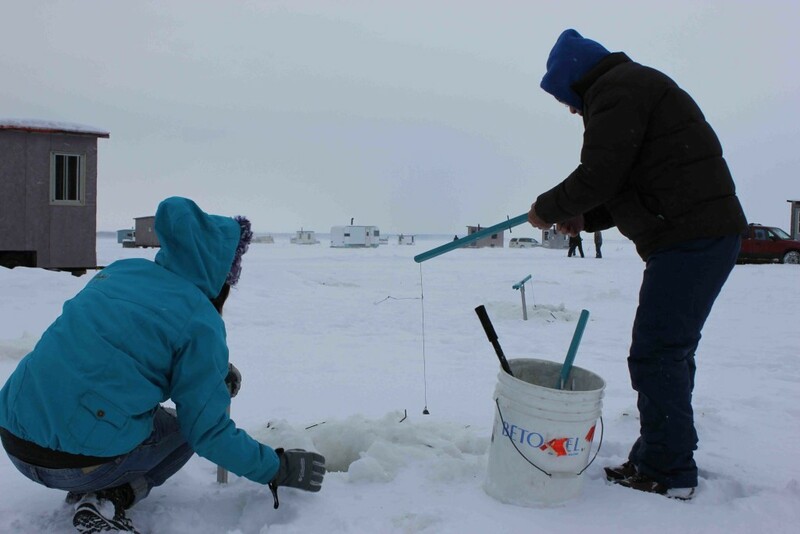 Unlike regular fishing that uses a rod with a reel, the type of ice fishing that we do uses a tip-up instead. 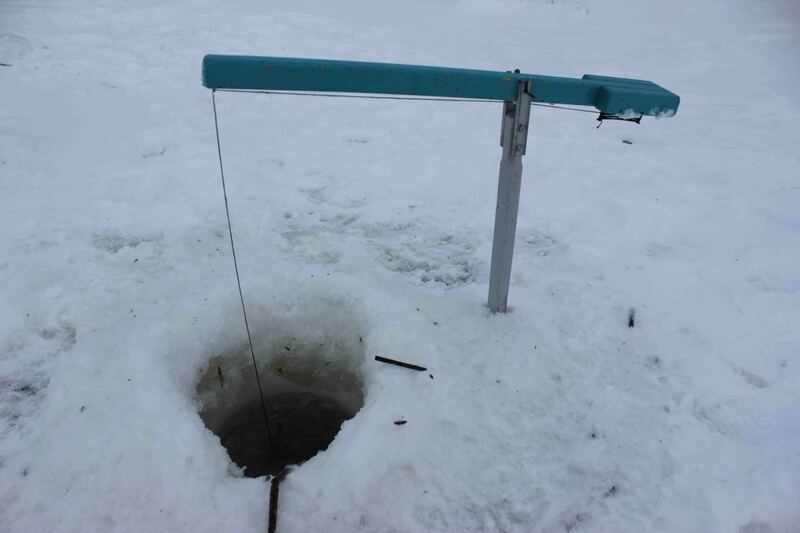 The way we set it up is by first jabbing a pole into the ice next to the hole (the grey one shown in the picture below). This is used to support the blue wooden rod. Next, we untangle the string from the wooden rod and place the rod on the pole like a seesaw. We roll the string up so the hook is only a few inches above the bottom of the river. We’re usually pretty close to shore so the water depth is a bit over 1 meter so we can simply pull the rod upwards instead of reeling the fish in. The final step is to hook the minnow on as bait and voila, you are all set to go! (Oh right, all you have to do now is to repeat these steps 9 other times for the 9 remaining holes that were drilled for you!). So how many times throughout the day will the rod tilt you might ask…well, it really depends on the day (and most likely your luck! 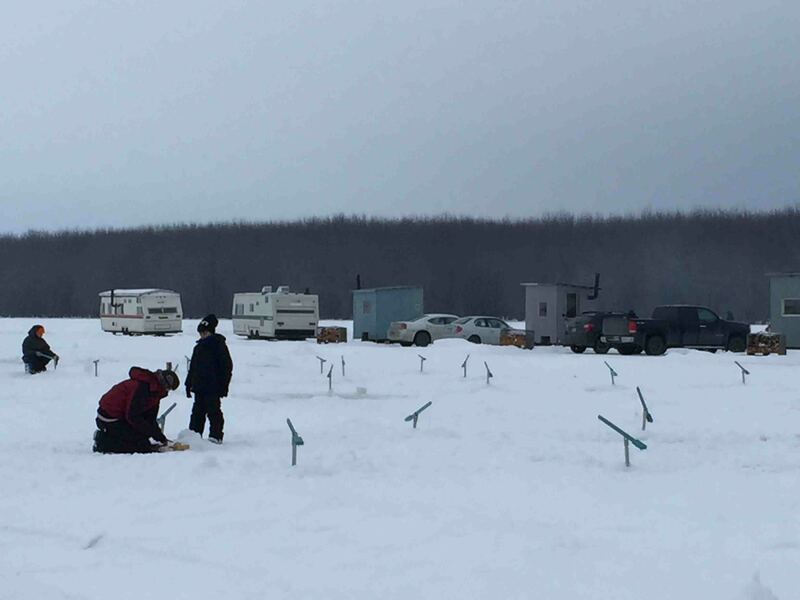 )…but the fun thing about ice fishing is 90% of the time is not about fishing but more about spending time with family and friends. Depending on our group size, the size of the cabin can vary. Usually, it will include a fireplace, a wooden table, and some benches. 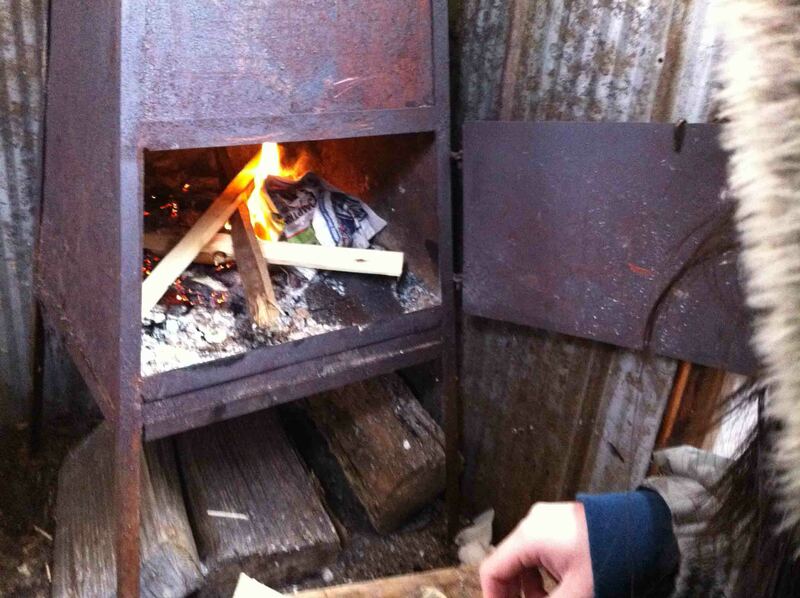 While someone is setting up the fishing equipment, another person is busy lighting up the fire so we can keep ourselves warm throughout the day. It’s always entertaining to see them struggle but it adds to the whole experience! 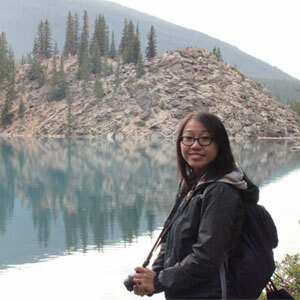 What usually happens is that we will be eating, talking, and laughing away when all of a sudden, someone will spot the fishing rod tilt and yell out “WE GOT ONE” and one brave soul will run out without their jacket to try to pull it out before it escapes. 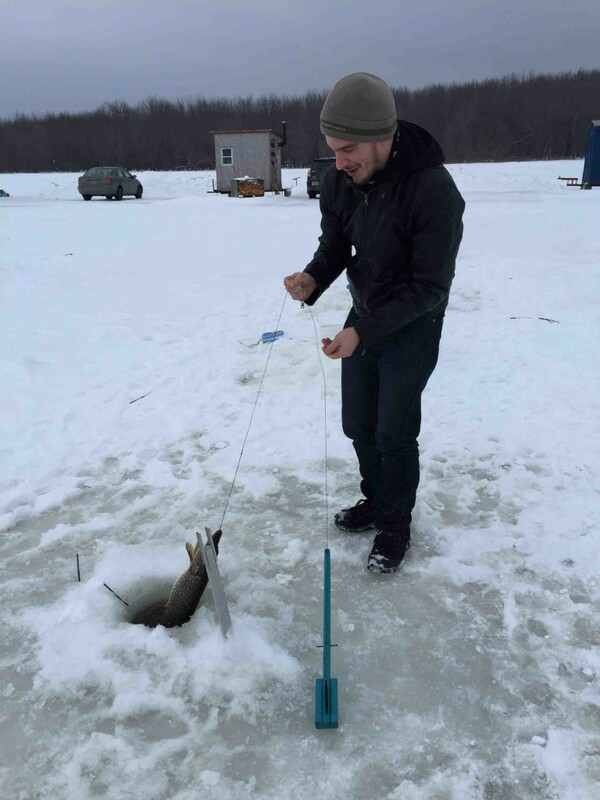 Luckily, every time we’ve gone ice fishing, we’ve managed to catch several perches and if we’re REALLY lucky, we also managed to catch some pikes! 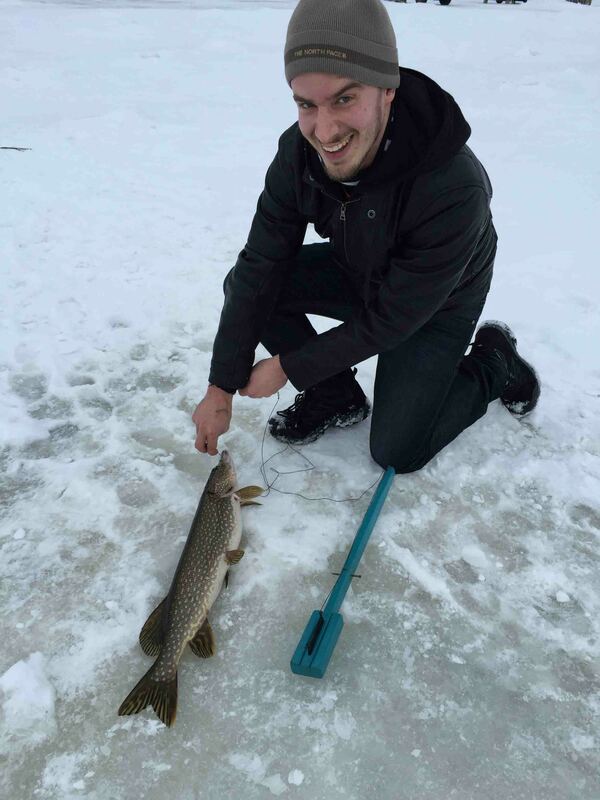 Check out the video below to see the pike we caught last time! 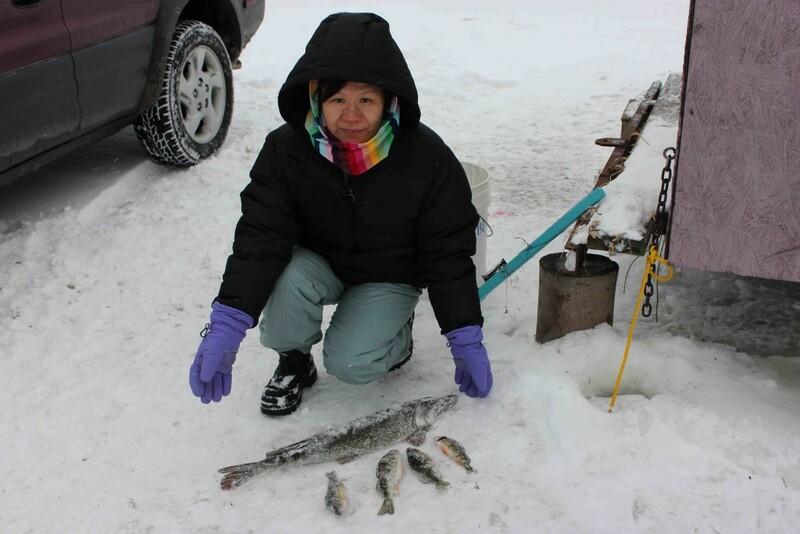 Ice fishing is a great winter activity to spend time with family and friends so if you still haven’t gone…make sure you go try it out! 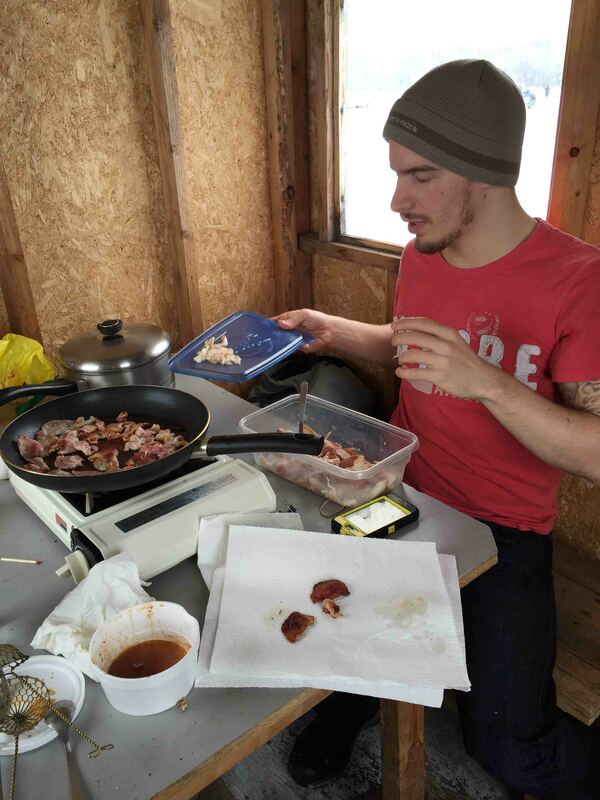 Click here to check out the other type of ice fishing where you get to fish inside the cabin!